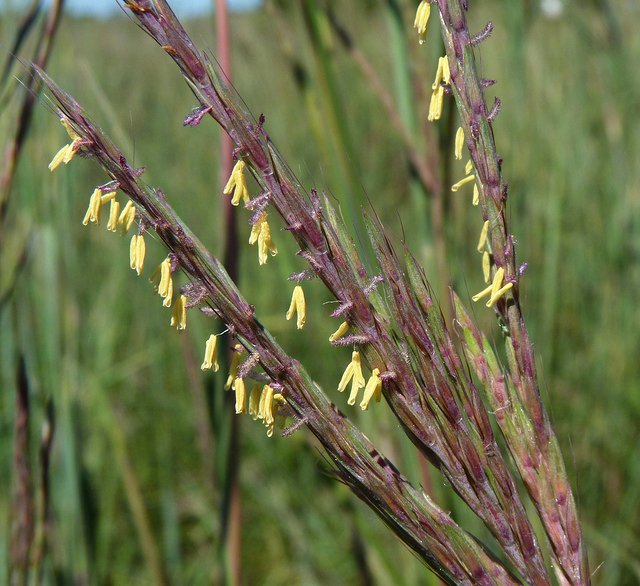 Stems of big bluestem prairie grass (Adropogon gerardii); photo by Dendroica cerulea on Flickr (use permitted with attribution). Missouri designated big bluestem (Andropogon gerardii) as the official state grass in 2007, the result of efforts made by fourth-graders at Truman Elementary School in Rolla, MO. Big bluestem grass is native to Missouri and occurs throughout the state except for a few southeastern counties. 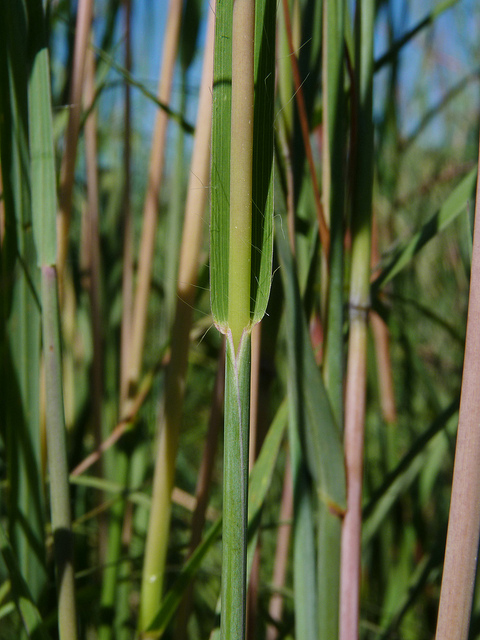 Big bluestem is a major component of Missouri's tallgrass prairies. The name bluestem is for the bluish-green color of the leaves and stems, which turn a reddish-copper color in autumn. Big bluestem prairie grass (Adropogon gerardii); photo by Dendroica cerulea on Flickr (use permitted with attribution).